Modern Canon 1/1.8 " (7.18 x 5.32 mm) sensor A-series replaced the double-digit A-series, which had an excellent compact, such as 5 megapixels, 3x zoom Powershot A95 (August 2005). There were 4x 5MP A610 and 7MP A620 in 2005, 8MP and 10MP A630 and A640 in 2006 and the latest 12MP model Canon A650 with 6x zoom lens. I am using A95 and A630 as my second cameras for a long time and I can say that to shoot with these two is a pleasure. I bought this to upgrade from the PowerShotA570 that is an excellent camera, but the bigger chip and bigger zoom of the Canon A650 made me its owner. At first, I thought I must have been doing something wrong, but no, there is a lot of noise at anything over base ISO. Especially starting at ISO 125 and up it is much nosier than the Canon A570 and frankly ruins any gains from the 12-mega pixels. There is also more pronounced lag time between shots. While the dynamic range is better than my A570 (probably due to the larger chip), the noise was just too much to ignore. For the price it is not worth it, so back to the store it went. I am happy with cheap Powershot A570 except for the long flash delay and blown out highlights. For more details about Powershot A650 look at: Canon Powershot G9, SD950 and A650: can 12MP make SLR from compact. Comparing A650 with A640 / A630, we can find a 6x zoom lens forced by an image stabilizer and nothing more important exsept the price (abt. $380-470). Canon PowerShot A640 ($290-380) has more pros than cons. Although it has high resolution at 10 megapixels, but that will not be necessary for most users of this camera. A majority of photografers do not need to create life-size posters. For more look through Nikon Coolpix P5100 vs P5000: it’s better to look at Canon A630. However, there is an adequate 8-megapixel sensor, which allows selling Powershot A630 for a good price and making this compact the best purchase in the digital market.Unfortunately, we can get great new digital compact cameras from Canon ink. 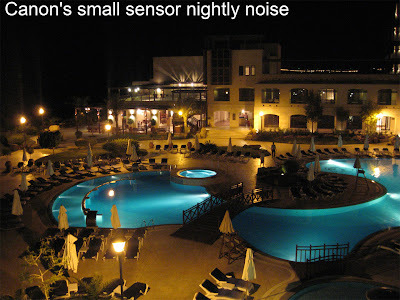 only after the speedy completion of the project of developing CMOS sensors for compact models. Canon has already invested $451 million for building a new CMOS production factory in Japan. ‘The new plant will have roughly the same annual production capacity as another factory in Kanagawa which can churn out 3 million CMOS chips a year. The CMOS chips will be used in both single lens reflex (SLR) models as well as in some compact models. 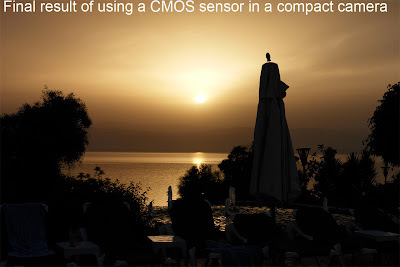 For more details look through: Canon PowerShot with CMOS sensor: SLR-like vs. SLR or instead? and Canon vs. Sony: 5 billion more for better ultra-zoom with CMOS sensor. I collect info about all digital cameras. Tell me what you need and we will find the one together. Feel at ease at Comments directory. I am looking for a digital camera for under $200. What is the best choice you would suggest and why? Do you know something about a particular camera? I will use the camera for just normal picture taking, especially for the holidays. Look at Canon’s A-series. It is better to pay your attention at some simple models without useless features and extra pixels as A560 or A570. However, if you can pay a little more (abt. $250), look at the Canon A630. This model can fight with groovy Canon G9 and A650 but it is a truly compact with a good image quality for fair money. The Canon A630 has fantastic quality for the price. It is easy to use, with a bright lens and very sharp. Well built, a lot of features. Good quality images (80-200 ISO). I have the Canon powershot A630 IS. 8 MP. I like it. It uses AA batteries. I was surprised that it takes good mini movies. It takes great close ups shoots in macro setting and has several preset settings along with auto. Like most digital point and shoot camera's it has a lag time. However, if you depress the button halfway and then wait for your shot, you can get a decent picture. It's a nice size and it's always in my purse. It has image stabilizer and face recognition. Yes, I agree, the Canon Powershot A630 is my favorite digital compact. I want to know the counterpart models of U.S. Canon Powershot SD750, SD850, SD1000, etc to the European Models and/or vice versa. The Canon Powershot SD750 also known as IXUS 75, SD850 also known as Digital IXUS 950 IS, SD 1000 also known as Digital IXUS 70. Yes there is some noise starting at Iso 200, Iso 400 is not much worse though, so that's what I use when shooting at low light situations. And after that, I take Neat image to reduce the noise to zero within a few seconds. What many people don't get is, that this camera wasn't really made for nightshootings, and if so, then with the flash turned on at a nice iso 80 or 100 cause it can keep colors great even with the flash turned on, the dynamic range is also better than most of it's rivals. If you would look at the full res Iso 80 pictures then you'll realize that the 12MP are real and the images are MUCH beter in detail overall. The best pictures are shot in sunlight, and that is where this little camera outshines every single other camera on the market, because of the most natural colors and the best sharpness in it's class! Can you send me some your photos (with different ISO), any camera's views and much detailed opinion about your cam? I'll be glad to make a special post with your information. Thanks for the input from all of you. I was wondering if the image stabilization offers something substantial to the a650 when compared to the a630? I am debating between purchasing the two. Thanks for the help! An addendum: I am debating between the A630, 650, and 570/90 and am trying to find a balance between image quality and versatility (implied in features such as image stabilizer). Thanks. If I had more time I would read all the pages and pages posted here, there is great information...but I need this as a gift asap! 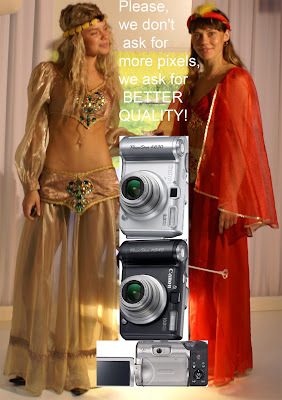 Unfortunately, the Canon A630 is an old model and now it is easier to look at the Canon A640. As for the Canon A720, it has a bigger zoom, however, a smaller sensor size. In addition, there is a great and not expensive model -- the Fujifilm F40. It is easy-to-use compact camera with an excellent Fuji's sensor. The canon 640 does not seem to be available anywhere local to me anymore. i was comparing the f40, but because the fuji f40 didn't have manual focus option, which I think they will like for making some 'artsy fartsy' shots sometimes. I also like a bit more zoom. Other user reviews were lower for f40 than the s700 (aka s5700). Still undecided about which to buy between my first two...both seem to be overall getting good reviews from users...the canon a720 seems to have higher user reviews where the fujis700 had higher pro reviews...oh, what to do!!! I have been using Canon A640 since last year and I am pertty much happy with that except the fact if I am moving in my car and I try to shoot a picture that picture gets very blury since 640 dosen't support motion detection. Now I am thinking of buying a SD series camera. On Canon site they have posted some new SD series camera like SD 890, 790 & 770. These models have Motion Detection technology. Do you think one of these can solve the issue I have. And which one would you suggest in those 3 new models.